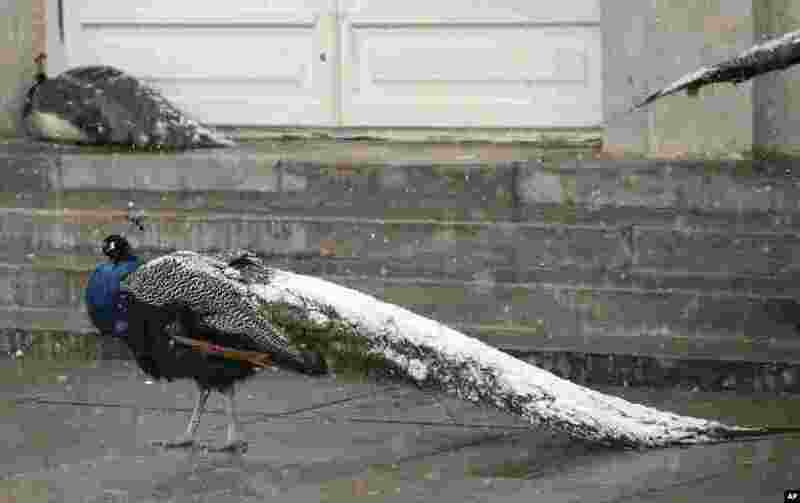 1 A peacock with its tail covered with snow walks in Lazienki park in Warsaw, Poland, Friday, March 16, 2018, as snow came down in the city in a sudden return of winter weather with the temperature minus 3 degree Celsius. 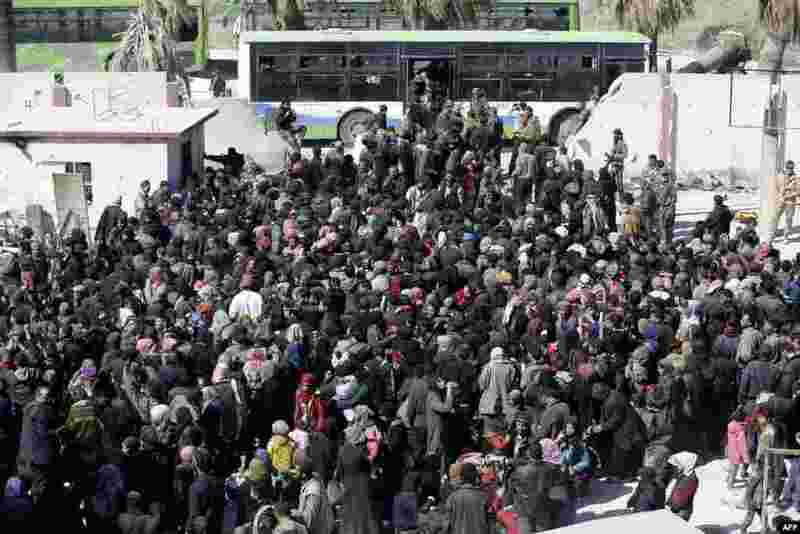 2 Syrian civilians, evacuated from rebel-held areas in the Eastern Ghouta, gather at a school in the regime-controlled Hosh Nasri, on the northeastern outskirts of the capital Damascus. 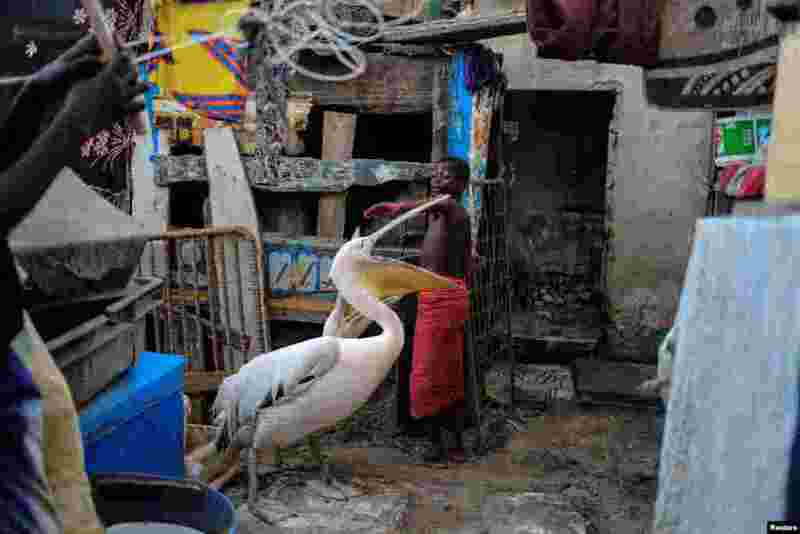 4 A boy plays with pelicans in Yoff, commune of Dakar, Senegal.